Athlete’s foot, medically known as tinea pedis, can be the most common fungal infection of your foot skin and can also spread to the groin, palms, and some other body areas. This condition is caused by tinea pedis, a fungus that likes to grow in warm and moist places and your feet, where are covered by shoes and socks, will become an ideal breeding area. People with athlete’s foot experience some prominent symptoms such as excessive itching between their toes, burning sensation, peeling off the skin, blistering, discoloration of the toenails, and dry skin. Like other fungal infections, this infection can spread from one individual to another by contacting with contaminated surfaces. In addition, it can also spread from one body part to another. Therefore, it is important for you to cure the infected region as soon as this problem appears. Moreover, proper skin care along with good hygiene can also help you to prevent and treat athlete’s foot. In most cases, you can also deal with athlete's foot by using easy home and simple remedies. 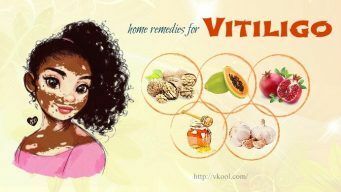 In this writing, VKool.com will introduce to you the best natural home remedies for athlete’s foot without any side effect. This article listed the best ways to treat athlete’s foot from reliable sources. However, it is only for the informational purpose and it is not aimed to give medical advice. Continue reading this writing to understand more! Cinnamon is one of the reliable and effective home remedies for athlete’s foot thanks to its antiperspirant and antifungal properties. At first, you break these sticks of cinnamon into small pieces. Then, you add these pieces into the boiling water. Now, you allow the solution to simmer for about 5 to 7 minutes on low heat. After that, you let it steep for about 45 to 50 minutes. Next, you soak your feet into the solution for about 30 to 40 minutes. Finally, you pat dry your feet thoroughly. You should repeat this remedy every day before going to sleep for about 1 to 2 months. Tea tree oil contains antifungal properties and is a potent antiseptic, which will help you to destroy the fungus as well as prevent it from spreading. Therefore, you should not skip this simple remedy if you are finding natural home remedies for athlete’s foot. Firstly, you rinse and dry your feet thoroughly. Then, you apply a sufficient amount of tea tree oil to your fungal infection with a thin layer. You should repeat this process for about 3 to 4 times per day. At first, you take equal parts of olive oil and pure tea tree oil with olive oil. Next, you rub this mixture onto the affected area. You should follow this remedy for about 1 to 2 times a day for a few weeks. Firstly, you mix tea tree oil with aloe vera gel together. Then, you rub this mixture onto the infected area thoroughly. You should repeat this process for about 1 to 2 times per day for about 6 to 8 weeks to see the best results. According to a research, garlic contains a compound called ajoene which works as a natural antibacterial and antifungal agent. In addition, you can add 1 or 2 garlic cloves into your food in order to treat any fungal infection which includes athlete’s foot more quickly. For topical treatment, you can try these following home remedies for athlete’s foot! At first, you crush these cloves of garlic finely. Then, you add them into your foot bath water. After that, you allow your feet to soak in this water. You should repeat this process daily for about 20 to 30 minutes to treat this infection. Firstly, you mince or grind these cloves of garlic finely. Then, you mix it with olive oil together. After that, you apply this mixture onto your affected area. Now, you allow it to sit on there for about 20 to 30 minutes. Then, you rinse it off with plain water along with an antifungal soap. Finally, you pat your skin dry completely. You should repeat this remedy for about 2 to 3 times a day for several weeks. This extract is derived from pulp, peel, and seed of the grapefruit. It contains strong antimicrobial properties, which can help to treat various infectious diseases and viruses. In addition, it is also a powerful disinfectant, which sometimes works better than other herbal home remedies for athlete's foot. Moreover, it has been used traditionally for treating various skin problems including warts and cold sores, even dandruff, and acne. Apart from taking grapefruit seed extract orally, you can also apply it topically to treat athlete’s foot more quickly. At first, you take grapefruit seed extract into your palm. Then, you apply it to the affected area. You should repeat this process for about 2 to 3 times a day. Olive leaf has antimicrobial and antifungal properties which can help to kill the fungus causing athlete’s foot. Firstly, you grind these olive leaves finely to make a paste. Then, you apply this paste directly on your affected area with the help of the cotton ball. After that, you cover this area with the tape. Now you leave it on there for about 20 to 30 minutes. Finally, you rinse the area with tepid water and then pat your skin dry thoroughly. You should follow this remedy for about 1 or 2 times a day for about 2 weeks. Note: You can also use the extract of olive leaves to get rid of any fungal and yeast infections. Lavender oil contains strong anti-fungal and antiseptic properties even when it is used at low concentrations. In addition, the compound, alpha-pinene that is also found in turpentine and rosemary, seems to assist you in curing the infection. When you mix lavender oil with some other essential oils such as myrrh oil or tea tree oil, the effectiveness of this treatment will be increased manifolds. Here are three home remedies for athlete's foot containing the lavender oil with other oils. At first, you add lavender oil to jojoba oil. Then, you mix them finely. Now, you apply this mixture to the affected area. Firstly, you mix lavender oil with tea tree oil together. Then, you mix this mixture with aloe vera gel. After that, you apply this to your affected area thoroughly. You should repeat this remedy for about 2 to 3 times a day. At first, you add lavender oil and tea tree oil into hot water in your foot bath basin. Then, you stir them well and soak your feet into this water for about 20 minutes. You should do this remedy for about 2 to 3 times per week initially and then for one time per week. Baking soda contains antifungal and antibacterial properties, which make the fungus more difficult to thrive between the toes. In addition, baking soda can also help to remove moisture in your feet and neutralize your skin’s pH level. Therefore, this is one of the effective home remedies for athlete’s foot you should try. Firstly, you wash and pat your feet dry properly. After that, you apply this paste onto your foot. Now, you rub it in between your toes gently. Then, you allow it to dry off for a few minutes. Finally, you rinse your feet with tepid water and pat them dry. You should follow this remedy for about 2 or 3 times per day for a few weeks. Note: You should also sprinkle a little baking soda into your socks and shoes every day to absorb moisture as well as prevent recurrence of this fungal infection. You should do this process for about 2 to 3 times per weeks for the best results. Myrrh oil contains many properties, which include antioxidant, anti-inflammatory, analgesic, antiviral, antiseptic, astringent, and anti-infectious among many others. In addition, ancient Egyptians used myrrh oil as an antiseptic as well as for skin care. In fact, you can use it not only as an effective remedy in the list of top 28 natural home remedies for athlete’s foot. Moreover, it is also used for treating other fungal infections like Candida, eczema, vaginal thrush, ringworm etc. At first, you take this oil into your palms. Then, you apply it onto the affected area. Firstly, you mix myrrh oil in hot water. Then, you soak your feet into this water for about 20 to 30 minutes. You should repeat this remedy for about 1 or 2 times per day. Salt, especially Epsom salt is one of other home remedies for athlete’s foot that you should follow. The sulfate and magnesium in Epsom salt are absorbed easily by your skin and also help to reduce inflammation and remove the toxins from your body. At first, you add Epsom salt into the warm water in the basin. Then, you soak your feet into this water for about 5 to 10 minutes. Finally, you pat them dry properly. You should repeat this remedy for about 3 to 4 times a day. Note: You never use this remedy if you are having wounds or open sores on your feet. Yogurt which contains active bacterial cultures is one of other effective home remedies for athlete’s foot you should try. The live acidophilus bacteria in plain yogurt help to keep bacterial & fungal infections in check. You should buy plain yogurt with active cultures. At first, you take yogurt into a small bowl. Then, you dip the cotton ball into it. After that, you apply this ball to the affected area. Now, you allow it to dry off. Finally, you wash it off with warm water and pat them dry completely. You should repeat this process for about 3 to 4 times a day for a few weeks. In addition, you should also consume plain yogurt (1 cup) in the evening and in the morning. Moreover, you should add 2 more cups of plain yogurt if your condition is severe. Mustard seeds contain excellent anti-bacterial and antifungal properties. In addition, mustard seeds also contain two compounds called myosin and sinigrin. Myosin is an enzyme, and sinigrin is a glycoside. When they contact with water, myosin will act upon sinigrin. This action will set mustard oil (allyl isothiocyanate) free. This mustard oil contains many properties, which include germicidal and anti-inflammatory properties. Therefore, if you want to know some natural home remedies for athlete’s foot, you should not skip mustard powder or mustard oil. Firstly, you pour warm water into the foot basin. Then, you add mustard powder into this water. After that, you soak your feet into this solution for about half an hour. You should repeat this remedy for 2 times, once in the morning and once at night. There are also a lot of other natural home remedies for athlete’s foot presented in the next part of this writing, so keep reading it if you want to discover more! Apple cider vinegar contains antifungal, antiviral, and antibacterial properties. Folk medicine has used this vinegar as a panacea which can treat most ailments. This may be also one of the best natural home remedies for athlete's foot thanks to its alkaline effect that can create a hostile environment for bacteria and fungus. Firstly, you add apple cider vinegar along with water into the foot basin. Then, you mix them well and soak your foot into this solution for about 15 to 20 minutes. You should repeat this simple remedy for about 1 to 2 times per day. Note: If you want to apply undiluted apple cider vinegar, you can soak a cotton ball into it and apply it to the affected areas. Vinegar contains a strong acidic property that can help kill the fungus and reduce the level of alkaline on your skin, which will prevent the infection from spreading quickly. In addition, vinegar can also help draw out excess moisture from your feet that in turn speed up the process of treatment. Here are two home remedies for athlete’s foot containing vinegar you should try! At first, you mix vinegar with warm water into a foot basin. Then, you soak your feet into it for about 15 to 20 minutes. After that, you pat your feet dry thoroughly. You should repeat this remedy for about 1 or 2 times a day for a week or till the infection is gone. Firstly, you mix water with vinegar together. Then, you wash your affected area with an antiseptic soap. After that, you dip the cotton ball into the vinegar mixture. Now, you apply it on your affected areas. Next, you leave it on there for about 20 to 30 minutes. Finally, you clean this area with the wet cloth and then pat it dry. You should follow this remedy for 2 to 3 times per day on a daily basis for several weeks. Onion is one of other best natural home remedies for athlete’s foot thanks to its antifungal, antibiotic, and anti-inflammatory properties. In addition, onion can also aid in killing the fungus effectively as well as preventing it from spreading. At first, you grind the onions finely. Then, you extract the juice from the onion paste with the help of the cheesecloth. Next, you wash and pat your feet dry. After that, you apply the onion juice onto the affected area. Then, you rinse it off with tepid water and pat it dry. Finally, you apply a little talcum powder to this area to absorb the moisture from it. You should repeat this simple remedy for about 2 to 3 times a day on a daily basis for at least one month. You should not skip black tea bags if you want to know more natural home remedies for athlete’s foot. Tea contains tannic acid, a natural astringent, which can help to restrict fungal activity and keep your feet free of extra moisture. Firstly, you steep these tea bags into the boiling water for about 5 to 10 minutes. Then, you let the water cool down. After that, you soak your feet into this water for about 20 to 30 minutes. Finally, you pat your feet dry thoroughly. You should repeat this remedy for about 2 to 3 times per day for about 5 to 6 weeks. Calendula contains fine anti-inflammatory, astringent, and antimicrobial properties, which can help to reduce itching, inflammation, infection. You can eliminate fungus and reduce any swelling associated with your athlete’s foot by soaking your feet into a calendula foot soak. At first, you add the calendula flowers to a pot. Then, you pour boiling water over them in order to fill the pot. Next, you allow it to steep for about an hour. After that, you strain and pour the water in your foot basin. If needed, you can also add more tepid water, enough to soak the feet. Now, you soak your feet into this water for about 20 to 30 minutes. You should repeat this simple remedy for one time per day. Black Walnut hulls contain antifungal, antiseptic, antiviral, and astringent properties, especially when they are green. In addition, olive oil also contains antibacterial properties. Moreover, cocoa butter is very good for your skin and is often used to treat some skin conditions such as eczema and dermatitis. Firstly, you separate the green husks from the walnuts. Then, you crush them by using a mortar and pestle till they become mushy. Next, you place them in the pan and add olive oil along with cocoa butter into it. Now, you place the pan on the stove over low heat. Then, you allow it to simmer for about 1 hour and stir frequently. After that, you use the cheesecloth to strain the oil as well as remove the husks. You should squeeze properly as much as possible. Now, you place this extracted material back in the pan over low heat and add beeswax into it. After that, you stir it continuously until the beeswax melts completely. Then, you take it out in a spoon and allow it to cool down. You can pour the salve into a glass jar. Next, you let it cool down and store into a dark cool place. Finally, you apply this salve onto your affected area. This method for foot spray uses some essential oils which we have already discussed. In fact, these essential oils contain one or multiple properties such as antibacterial, anti-inflammatory, and antifungal etc. that can help to combat the infection of your feet. If you are easy to get athlete’s foot, you can use this spray to prevent its recurrence. At first, you pour water into a spray bottle. Then, you add all these above essential oils into this water. Next, you shake them well. Now, you use this useful spray before wearing your socks every day. Note: You can carry the spray bottle with you to spray after leaving a public gym or shower. Because green tea isn't fermented while producing, it will maintain the beneficial molecules which are called polyphenols. Polyphenols can be considered to prevent inflammation and treat infections. Green tea extracts contain catechins and caffeine, which have strong anti-microbial properties to kill various microorganisms. Soaking your feet with green tea leaves has been an effective remedy in the list of top 28 natural home remedies for athlete’s foot. Firstly, you place the green tea leaves into a foot basin. Then, you pour boiling water over these leaves. Now, you allow them to steep until the water gets tolerably warm to soak your feet. After that, you soak your feet for about 10 to 15 minutes in this water. You do not rinse it off, you just pat your feet dry. You should repeat this remedy daily until you get rid of this infection. This is another effective remedy containing essential oils and some other ingredients such as apple cider vinegar and tincture of benzoin. Along with myrrh oil and tea tree oil, this treatment uses thyme oil and geranium oil. Geranium oil is a good natural astringent and is extensively used for treating acne, bruises, burns, cuts, eczema, ringworm, and dermatitis. Thyme oil is famous for its antiseptic properties. In addition, it also contains antifungal, antiviral, antimicrobial, and anti-parasitic properties and thus it is used for curing some conditions such as psoriasis, dermatitis, and other infectious diseases. Besides, tincture of benzoin contains natural antiseptic and anti-inflammatory properties. Therefore, you should make this powerful anti-fungal solution at home to treat and prevent athlete’s foot. At first, you mix all these above ingredients and store this mixture in a spray bottle. Then, you shake them well. You should shake this mixture before using it every time. After that, you apply this solution directly onto the affected area. You should repeat this way for about 2 to 3 times a day. If you do not like the wetness of solutions and sprays, you can also make an anti-fungal powder that is be used on the affected area. You will have to again use some strong anti-fungal essential oils such as geranium oil and tea tree oil. Apart from these oils, you also need to use cornstarch, peppermint oil, and sage oil. Sage essential oil contains astringent properties and is soothing to your skin. In addition, it also contains antibacterial, antiseptic, anti-fungal, disinfectant, and antiviral properties, which can make it suitable for various skin problems including athlete’s foot. According to many studies, when peppermint oil is topically applied, it can treat many fungal infections. Besides, cornstarch is also used in this remedy as a base as it can absorb moisture very well. As you know, the fungus will thrive in the moist environment and cornstarch seems to be the right ingredient to keep them at bay. Firstly, you place cornstarch into the plastic bag. Then, you pour all these above oils over it. After that, you shake them well and allow the cornstarch to absorb all these oils. If there are some lumps, you have to break them up. You can sprinkle on the athlete’s foot with this powder before wearing the shoes and socks and after rinsing and drying the feet at night. 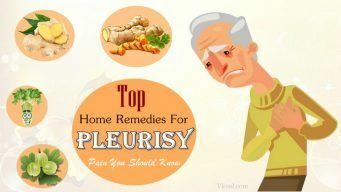 If you want to know more about natural, home remedies for other diseases and conditions go to our main Home Remedies page. After reading the article of top 28 best natural home remedies for athlete’s foot, hope that it can help you find out the best solution to treat athlete’s foot quickly and easily. Nevertheless, the article is only for the informational purpose, thus, you should meet your doctor to get advice before applying any home remedy. If you have any question, or you know other natural home remedies for athlete’s foot, please leave them below.